What is the Best Way to Connect to the Equinix Cloud Exchange? If there's a universal trend in IT, it's "more expectations, less money." As Search Cloud Computing points out, "IT budgets are flat, and have been for a long time." Without increases in resources, IT managers are struggling to scale and improve their cloud workloads without cutting corners on quality. A need for fast and efficient workloads isn't just balanced against competing priorities for cost-savings. Organizations also have to consider quality and security in their vendor evaluations. If your organization needs "more" cloud—ranging from better diversity in service providers to faster connectivity to increased security—you may be a good candidate for the Equinix Cloud Exchange. In this blog post, you'll learn how a single dedicated port connection, enabled via fiber-optic connectivity, has the potential to open up a world of possibilities for your organization. Fortunately, all of this is possible at a price that most likely isn't bigger than your IT budget. Initial connectivity to the ECX is accomplished through a single dedicated port. Regardless of whether you plan to purchase two or twenty cloud services through the Equinix marketplace, this port will provide sufficient connectivity to Equinix data centers, which contain ready connections to all possible players. This is a drastic departure from the traditional way of doing things. In the past, if your organization wanted to purchase a cloud service, you had to wait for the provider and your telecom carrier to establish a connection. Now, according to Equinix CTO Ihab Tarazi, scaling up your cloud service agreements with providers is as simple as signing into the "Equinix Web service portal, check[ing] off the desired connections, and send[ing] workloads to a cloud destination without further intervention." As your workload grows, Equinix has the infrastructure necessary to "dynamically dial up the bandwidth" in your connection, without having to establish second or third ports. There's also no disruption to your service continuity. Do I Have the Necessary Infrastructure to Connect to Equinix? If you are a current customer of Atlantech Online's fiber-optic internet connectivity services for business, you're eligible to establish a direct connection to Equinix. Atlantech's technicians can assist existing and first-time fiber optic internet connectivity customers in establishing their connection to Equinix to help their businesses grow and scale. Fiber internet is necessary for a connection to Equinix, so prospective customers do need to schedule a fiber installation prior to becoming customers of the ECX. If you are a business tenant or building owner considering a first-time fiber internet installation, we recommend scoping out The Best Way for Landlords to Provide Fiber Internet to Their Tenants for more insight into the typical process of connecting. Why Should I Connect to the Equinix Cloud Exchange? Atlantech Online is the first-ever provider to offer differentiated SIP services via the Equinix cloud exchange. The term "differentiated SIP" refers to a new era of hosted business voice services. By differentiating and prioritizing voice packets in data transmission with specialized packet tagging, customers can enjoy unprecedented quality in voice communications. 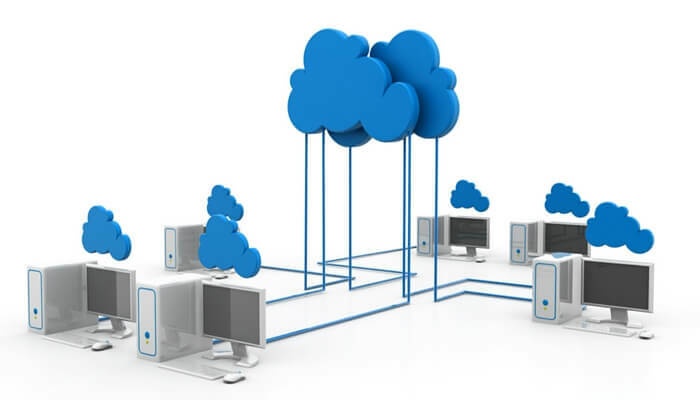 Atlantech also offers other cloud services such as data backup and Hosted PBX services. Our customers user our data centers for service colocation and can also access HIPAA-compliant data center hosting, via the Equinix marketplace. Single port connectivity, which can open up a world of possibilities for your organization. Should You Connect to the ECX? 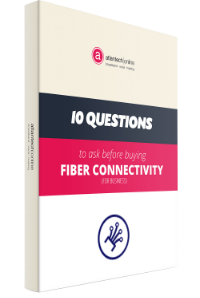 Regardless of whether or not you're a current customer of Atlantech fiber Internet services, it's wise to consider how a connection to the ECX can benefit your organization. If you're interested in Atlantech fiber or ECX connectivity, the first step is to speak to one of Atlantech's on-staff technical consultants for additional details on benefits.